Simon Godwin loves a challenge. And when it comes to Shakespeare, there are few more challenging plays than Timon of Athens. 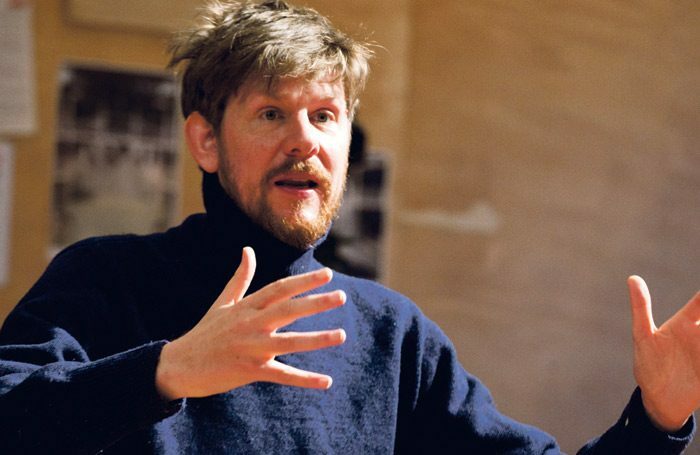 The last time the Royal Shakespeare Company put the work on one of its main stages was in 1999, when the company’s now artistic director Gregory Doran admitted to grappling with one of the canon’s most notorious problem plays. Two decades on, Godwin is relishing the opportunity to bring it to the Swan Theatre in Stratford-upon-Avon. 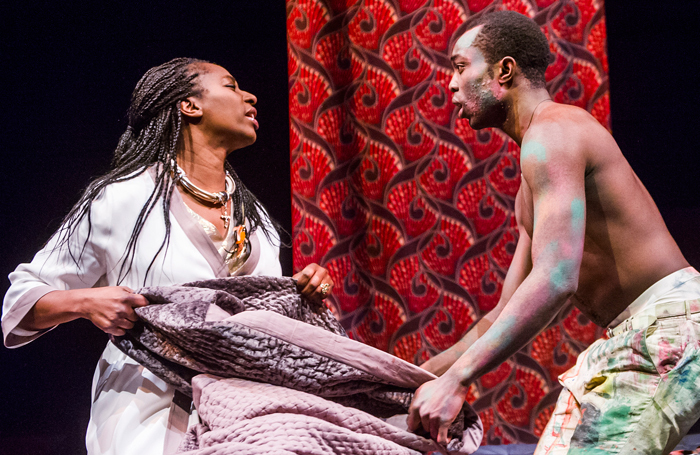 It marks Godwin’s third outing for the RSC, the most recent being two years ago when he directed an acclaimed Hamlet set in Africa starring Paapa Essiedu. He made his Stratford debut in 2014 with The Two Gentlemen of Verona, another Shakespeare work, like Timon, that is often overlooked. 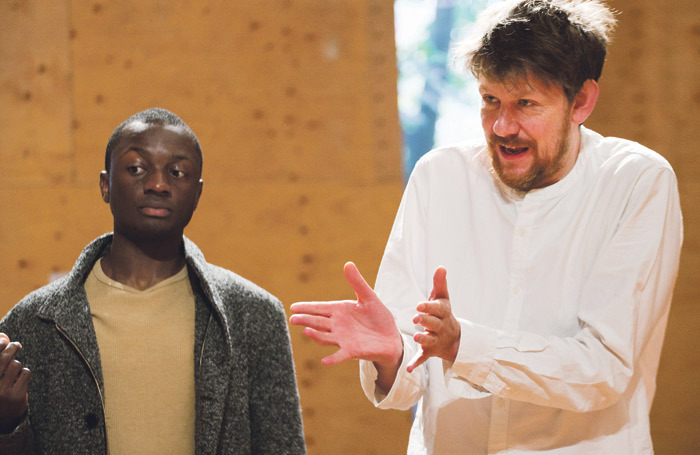 Godwin is prolific – directing productions over the past 15 years at the National Theatre, Shakespeare’s Globe, London’s Royal Court, the Almeida and around the country – but he is also building a reputation for tackling a difficult text and pulling it off. His production of Eugene O’Neill’s Strange Interlude at the National in 2013 made a long, heavyweight play fresh, intriguing and startlingly modern. Two years later, he took George Bernard Shaw’s knotty Man and Superman and created something thrilling. “As a director, you’re always trying to work out what your niche is – what you have to say that others don’t,” says Godwin, whose easy-going, slightly rumpled appearance belies a sharp intellect and canny self-awareness. He points to the “very striking contrast” between the kind of city comedy that Middleton was so fond of – about tradespeople, money and transactions – and the heightened tragic voice that Shakespeare brings to it. “At its best it’s a beguiling combination of urban comedy and cosmic tragedy,” he adds. It is the right moment to tackle Timon, believes Godwin. With its themes of greed, corruption and misanthropy, it’s a play he says that speaks to the era of Brexit and Trump. And what’s bound to add depth to the staging is the casting: Timon is played by the virtuoso shape-shifter Kathryn Hunter. The actor’s impressive CV includes male and female Shakespearean roles: she was Richard III at Shakespeare’s Globe in 2003, and in 1997 was the first British woman to play King Lear. 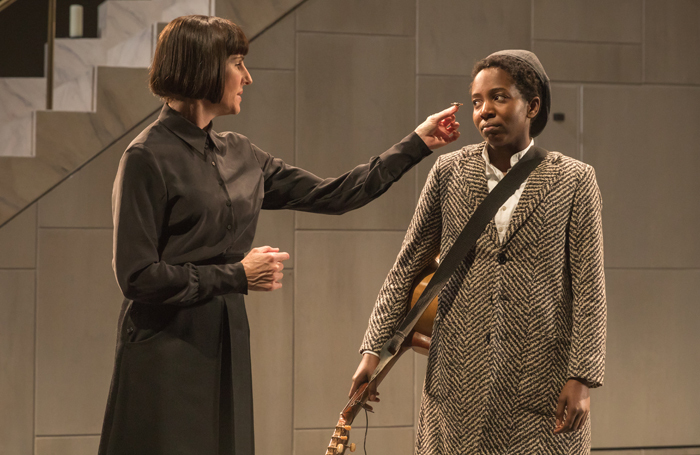 For Timon of Athens, Godwin has chosen not only to have a cross-gender cast – most of the other leading figures in the play are also played by women – but also to feminise the title character. An alertness to the politics of cultural representation is essential for theatremakers, and Godwin was recently confronted with issues surrounding race, gender and class. 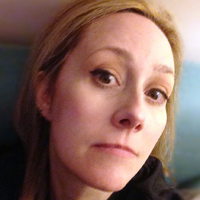 This was not in casting a new production, but instead during the selection process for the job of artistic director at the Shakespeare Theatre Company in Washington. The US theatre had run a search that consciously set out to attract and promote diverse applications. Godwin grew up in St Albans – “a very white, middle-class market town” – the eldest of four. His father, David Godwin, was a publisher and is now a well-known literary agent. As a child, bossy by nature he cheerfully admits, he longed to be an actor. After seeing the cast of Grange Hill interviewed on Saturday morning television, he decided that, like some of them, he would study at London’s Anna Scher Theatre. What was your first professional performing arts job? No one ever asked me to be a director. It’s what you volunteer that will define you as an artist, not what’s asked of you. So I suppose the answer is: to believe in the validity of the personal – if that doesn’t sound too pompous. My teachers: Anna Scher, Thomas Prattki and Peter Brook. I always wear yellow socks on the first day of rehearsals. In what Godwin describes as “a maverick career move”, he decided to take two years out to retrain in the Le Coq method under teacher Thomas Prattki at the London International School of Performing Arts, the London branch of the famous French drama school. “It was a pretty intense moment when I told Rupert I was going,” he grins. “I think he was… surprised.” No wonder, it was a breathtaking gamble. But Godwin insists that, as an artist, it was the making of him. Godwin was primed to take this new perspective back into the rehearsal room, but first came a messy couple of years in which he and some friends idealistically attempted to form a directorless touring devising company. It dissolved in acrimony – and Godwin was left wondering where to turn next. It was a job ad in The Stage for a director of A Christmas Carol at the tiny West London fringe venue, the Tabard, that unexpectedly supplied the solution. Godwin got the job – the organisers were somewhat startled at the plethora of professional credits already on his CV – and he went on to direct Martin Crimp’s The Country at the same venue. 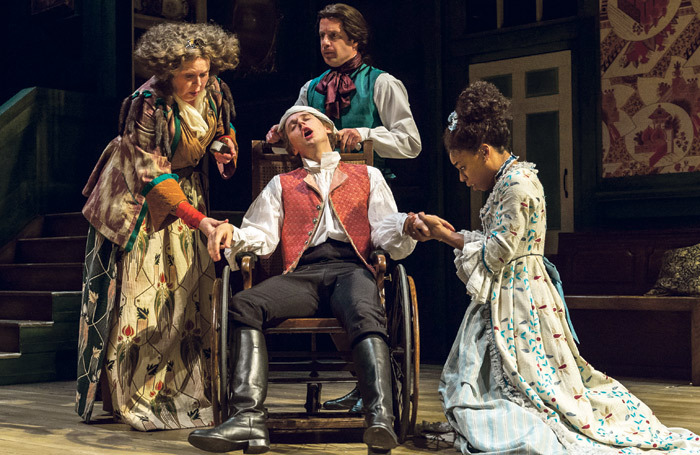 Crimp saw the production, recommended him to Dominic Cooke at the Royal Court, who had seen his production of The Seagull with Rory Kinnear at Northampton, and he was back on track. Since then, Godwin has carved out a particularly strong reputation for reinvigorating classics. But he has also worked with notable new writing talents, among them Vivienne Franzmann, Anya Reiss and Lucy Kirkwood. Memorably, he staged Nick Payne’s Wanderlust at the Royal Court Upstairs. The sexual politics of both play and the production were horribly naive – a shortcoming Payne later publicly acknowledged when he set out to tackle feminist themes in Blurred Lines at the NT’s The Shed. The next year looks busy. As well as taking over at the Shakespeare Theatre Company, he is directing Hansard, a new play by Simon Woods in the Lyttelton and heading to Tokyo to tackle the Dane again – in Japanese.